This past Sunday on Highway 6 - Your Road to the Country, our friend, Jim Clewell, came by the studio to talk tractors. Jim works with our sponsor Kubota and Capital City Equipment of Ames and Des Moines. And...tractors and the rural lifestyle is something he knows about! Jim and his wife live on 40 acres in Madison County, Iowa and use their compact tractor all the time. Now, sure we talked about Kubota...but we also spent some time on answering questions posted by listeners and Jim gave some suggestions about the "new" vs. "used" and some spring tips for keeping your tractor running...for a long, long time. We've posted his interview here...just in case you want to skip the "news" portion of the show. Our thanks to Jim for making the trip up to the studios and taking some time discussing compact tractors and the rural lifestyle. Rural Lifestyle, let's talk about it on Highway 6 - Your Road to the Country. 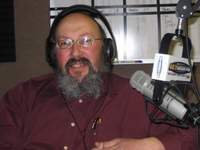 Welcome to the radio show that talks about living on a small farm or acreage and the things that impact that lifestyle. We're on each Sunday morning at 8 on 98.3 WOW-FM. On the show today we talked about the new video released by the Humane Society of the United States. While we're not big fans of this organization for lots of reasons they are starting to pile up a bunch of evidence that is damning to the meat production business. We had the story and some personal observations. So...is rural living getting out of the range for people who desire living in the country? With fuel prices, and home heating prices continuing to go up interest in living the rural lifestyle is coming under fire. What one thing could we do to save over 32 billion dollars in fuel costs? The answer is work from home. We talked about a recent study and gave you some ideas as to why industry is reluctant to climb on board...and then there is that pesky problem about rural broadband! Oh...and tech workers? Many would take a pay cut to be able to work from home. Headed to Church or Synagogue this morning? If so...you might be surprised at a recent study released by the PEW Forum on Religion and Public Life. Are we becoming more tolerant or less invested in our faith? Rural economic development headed in a new direction? That is one idea coming out of ISU. We had this story from this mornings edition of the Des Moines Register. We also talked about the cost farmers are seeing with high fuel prices and about dogs...rural folks tend to have more dogs than urban folks...but how we treat them can save their lives. Allied Insurance - For over 75 years Allied Insurance has been taking care of folks just like you. For your local Allied Independent Insurance Agent head to the Allied Insurance Website. Allied Insurance now with CountryChoice for the way you live! Kubota and Capital City Equipment - When you buy a tractor for your small farm or acreage you want it to last and have an outstanding reputation. You need a Kubota. To learn more visit Capital City Equipment and ask about the Kubota Orange Sales Event. Kubota and Capital City Equipment! Country Vet Pet Food - A dog food company based right here in the Midwest. You won't have to worry about where and what their pet food is made from. To find your local dealer head to their website. Here in Des Moines you can find Country Vet at Shoppers Supply. Country Vet Pet Food - "Loved by Pets, Trusted by Owners"! Running Horse Elite Equine Feeds - No matter the activity level of your horse Running Horse has a feed that will match it. It's a new type of horse feed that won't disappoint you, or your horse. Find your dealer on the Running Horse Website. "Running Horse - For the Long Run!" Acreage - The Magazine of Rural Living. Each month Acreage brings you information about how to live the rural lifestyle more robustly. Equipment, clothing, tips and a host of ideas. Acreage - Country Living at its Finest. Insight Advertising, Marketing & Communications - A full service advertising agency that understands agriculture and the rural lifestyle. You want to connect your business or service with more customers. Find out how...come on by for a visit. Rural Lifestyle, let's talk about it. Welcome to Highway 6 - Your Road to the Country this nations only live full hour radio program dedicated to living on small farms and acreages. 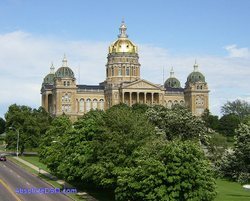 We're heard each Sunday morning at 8 on 98.3 WOW-FM here in Central Iowa. If you would like to listen anywhere in the world all you need to do is head to this link and log on. Highway 6 - Your Road to the Country streaming live each Sunday morning at 8. We've got a great show lined up for you this Sunday. We told you about a conversation I had with National Association of Farm Broadcasters (NAFB) Mike Parry, an old radio buddy who now goes around the country talking about...the Rural Lifestyle. What is interesting about this is the effort and the expense the NAFB is expending on this message. And why? It's the numbers. Today in the United States there are 2.1 million farms...and remember a farmer is ANYBODY with a farm income of over $1,000. Contrast that with the number of people out here living on 3 - 100 acres of land...47 million households. It's the numbers and very, very few people "get it". So...Mike is out there telling the story in a positive way. And other traditional farm broadcasters are getting into the mix. Including Gary Truitt our friend from Indiana who seem to have just discovered this huge market. In fairness for many traditional farm broadcasters they are way too busy discussing row crops and markets to pay much attention to the "lifestyle" folks. Kimberly Haus - Animal Rescue League of Iowa, Humane society of the United States and the Iowa Federation of Humane Societies. Kimberly, from Earhlam, also represents Phillip Morris our tobacco friends. George Appleby, Jennifer Tyler, Jim Carney - IA Veterinary Medical Association. We talked about the business of raising money for animal rights groups and just how much of an increase they saw in giving. It seems 2006 (the most recent year figures are available) was a very good year for PETA and others. Donations to PETA increased by 17% and in total "animal rights" groups reached $295.8 million. We're likely to see more money sent their way. Of particular concern are reports of cruel treatment of "downed" cattle as seen on a number of videos and reported, once again, by the Des Moines Register this morning. If the industry does not clean up their act...somebody else will. 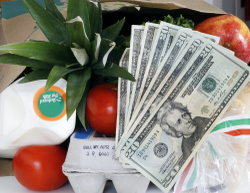 We took a look at the food price issue. WOW...the Federal Reserve Bank of Kansas CIty projects food price increases will continue not only in 2008 but perhaps forever. Gone, they say are the cheap food value Americans have enjoyed for generations. Who to blame? They tell us it's a mixture of increased labor, the cost of raw goods and transportation. Oh, a couple of other things: According to our friends at The Daily Yonder food manufacturers are reducing the choice and the "food" in prepared food products! Hamburger Helper has fewer choices, Sara Lee is changing its bread recipies to use cheaper, lower-protein wheat and Campbells Soup, according to the Wall Street Journal, is reducing the number of meats, vegetables and spices it uses in its products. Pay more...for less. Oh...and the farmer in all of this...gets less too. And, on this Easter Sunday we brought back our friend Rabbi Aaron Schwarzbaum to discuss the Jewish/Christian state of affairs, Israel and a host of other topics. Somebody asked why we would have a rabbi on with us during the Christian Holiday of Easter. Simple, all our Christian friends were headed to church! Rabbi Aaron for most of the hour. We discussed Christian/Jewish relationships, Israel and a host of topics of current interest of many people of faith. 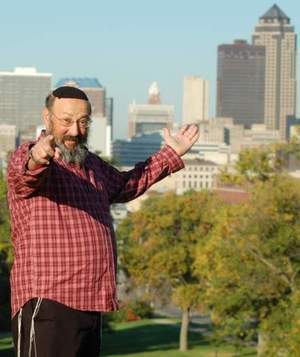 Including a better understanding of the Jewish group the rabbi leads here in Des Moines. All of that plus the Highway 6 - Your Road to the Country Tip of the Week - How to Grow Great Root Crops in your Garden. It all happened today at 8am only on 98.3 WOW-FM. Allied Insurance - With over 75 years of serving people just like you. Find your local independent Allied Insurance agent by going to the Allied Insurance Website. Allied Insurance now with CountryChoice - For the way you live! The Iowa Horse Council - Make plans now to visit the 24th Annual Iowa Horse Fair, April 11 - 13 at the Iowa State Fairgrounds. Horses, clinics, trade show and a Bull and Barrel Extravaganza! It's all at the Iowa Horse Fair next month. For more, visit the Iowa Horse Council Website. Running Horse Elite Equine Feeds - You'll find the right horse feed for your equine athlete, your mare, foal or senior horse from Running Horse Feeds. To find your local dealer head the the Running Horse Website - "Running Horse, For the Long Run!" Acreage - The Magazine of Rural Living - A monthly full color magazine for those of you living on small farms and acreages. Tips, equipment and loads of photos and advice from experts in country living. "Acreage Magazine, Country Living at it's Best." Insight Advertising, Marketing & Communications a full service advertising agency that understands the rural lifestyle. Got a product or service you would like to make great? Come by for a visit. Rural Lifestyle Radio - Highway 6 Your Road to the Country is heard each Sunday morning at 8 only on 98.3 WOW-FM. If you would like to listen using your PC...just head here, sign up and listen in real time. 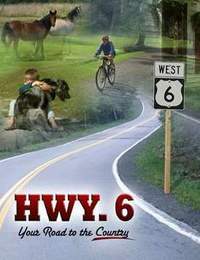 Highway 6 - Your Road to the Country is this nations only live full hour radio show dedicated to the rural lifestyle. Folks living on small farms and acreages have some unique interests and that's what we talk about. We're glad to have you along for the ride. This week we talked about a number of issues and we've listed them below. If you would like more information or a follow up to each story. Just click on the link and you'll get more. This past week I attended the annual meeting of United Country Real Estate. It was held in Kansas City and it was "smokin"! While the rest of the country looks to a crumbling real estate market United Country is booming. In a recent survey of their 700+ Broker Associates United Country received a 98% approval rating. In addition 52% of their associates reported a sales increase for 2007. Compare that with the rest of the country. Finally United Country has, this year, has instituted new technology that makes them the best search-able real estate data site on the planet. They have brought on new partners with US Bank and they have brought the auction method into traditional real estate marketing. Major moves that will bode well for them in the future. Much of this forward vision has to do with our friend Dan Duffy (L) the CEO of United Country. We would have had Dan on with us but they are recovering from their event in KC. However, if you are a Broker or an agent looking for an opportunity here in the Central Iowa area call Chuck Cox at 515-306-2259 or you can e-mail him as well. The State of Minnesota has decided to try a constitutional amendment to repair and retain their natural resources. A great story worth following especially as Iowa wrestles with the same issues. What do you do with unwanted horses? It's a tough issue that is full of ethical decisions. We profiled an article written by the Denver Post. Among the developed nations on earth the United States is considered one of the most religious. According to the Pew Global Attitudes Project the United States was the only developed nation where a majority of citizens reported that religion played a "very important" role in their lives. 78.5 percent of Americans adhere to Christianity, 15% say that they have no religion while Judaism comes in at 1.4% of the population. Rural folks tend to be more religious and committed to a house of worship than urban dwellers. But what about that 1.4% of the population that is Jewish? But, what is Judaism? Are there different beliefs among Jews or are they all alike? Our guest for the rest of the hour is Rabbi Aaron Schwarzbaum of Beth El Jacob the Orthodox Congregation of Des Moines. Rabbi Schwarzbaum will help us identify what some of the differences are between the groups and better explain exactly what Jews believe. Allied Insurance - Learn more about the products from Allied Insurance and find your local independent insurance agent by going the the Allied Insurance website. Allied Insurance now with CountryChoice for the way you live! Country Vet Pet Food - A new kind of pet food made right here in the Midwest and now with over 900 dealers nationwide there is sure to be one near you. Find yours by going online. Country Vet Pet Food - Loved by Pets, Trusted by Owners. Running Horse Elite Equine Feeds - A great feed for your horse...or horses. Feed less, have less waste and find your local dealer by going to the Running Horse website. Running Horse - For The Long Run! Insight Advertising Marketing & Communications a full service advertising agency dedicated to agriculture and the rural lifestyle. Come on by for a visit and if we can help we're there for you. Morning! And, thanks for coming by Highway 6 - Your Road to the Country. This area's only rural lifestyle radio hour heard each Sunday morning at 8 on 98.3 WOW-FM. If you would like to hook up via the Internet just click here and create your link. On this morning's show we talked about a host of subjects. This Blog Site will give you links to the stories we covered so you might follow up and read more on your own. Our story about faith based farming came from a recent article in the New York Times. It seems that a number of religious organizations have decided to follow the Bible as it relates to agriculture and the farm to plate discussion. Neat story. Organic meat consumption continues to increase. Retail sales of organic meat products rose from $256 million in 2005 to $331.5 million in 2006 according to The Organic Trade Association. What does this mean for you? How about doing a little research with the Leopold Center at ISU and see how you might turn your acreage or small farm into an organic farm...could be added income. Farmers have nearly doubled the use of computers on the farm but Broadband Internet is still only a dream for the majority of rural users according to this USDA study noted in the Delta Farm Press. Need a "helping hand" in the way of MONEY for your community project. Who doesn't? Hamburger Helper is offering the "helping hand" with grants from parent company General Mills. Your community project might be awarded between $500 and $15,000 but you better get started now. The deadline for submission is September 30. Talking money? 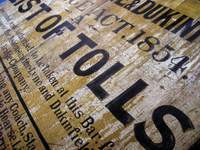 We had a story about the possibility of having toll booths on I-35 or I-80 in an attempt to generate much needed funds for infrastructure. Don't laugh...Pennsylvania has done it with their stretch of I-80 and it could be coming to a legislature near you as the federal government simply doesn't have the cash. Some say it is another "rural" vs. "urban" issue. We got the story from our friends at The Daily Yonder. As coal production increases so too does the concern over mine safety. "Did They Die In Vain?" We didn't cover this on the air....but it's a timely story that you might want to read. A fun story we did broadcast is the "Sweet Potatoes vs. Yam" controversy. We uncovered this confusion with the help of our friends at The Daily Yonder. 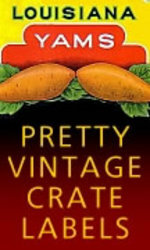 Great read...and a neat recipe! And, our Tip of the Week had to do with adopting a pure breed dog. Easier than you might think. Headed to the Farm Progress Show? No...well fine then. I am and we'll blog a bit about what we find there for the small farm or acreage. By the way...if you can't get away this year because you can not take time off from work. Not a problem. The show will be near Boone, Iowa next year. Much closer for those of you around the Central Iowa area. Thanks for reading...and for listening. FOTON Compact Tractors - Tough, dependable tractors that are perfect for the small farm or acreage. You can see them on-line or in person at Mayer Farm Implement just 15 minutes south of Des Moines at I-35 and Hwy. 92 in Bevington. Country Vet Pet Foods - Made right here in the Midwest and available at over 800 locations. Country Vet Pet Foods, Loved by Pets - Trusted By Owners. Find your local dealer by going on-line. Running Horse Elite Equine Nutrition - A new brand of horse feed for all stages of your horses life and activity level. Find your local dealer by going on-line. Running Horse - For the Long Run! And...our company: Insight Advertising, Marketing & Communications a full service advertising agency that helps grow sales for our clients. If you have a product or service and you're looking for new ways to market or advertise...come talk to us. We get it. Rural Lifestyle Radio...it's Highway 6 - Your Road to the Country! Thanks for coming by for an overview of the show we had this morning. Highway 6 - Your Road to the Country is heard on 98.3 WOW-FM each Sunday morning at 8am. 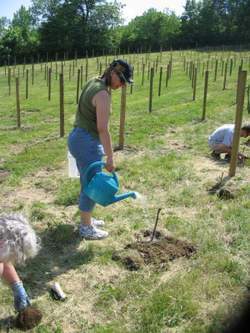 We feature stories and information of interest to folks living a rural lifestyle. Nope, it's not a farm show...it's a lifestyle show. Brought to you by FOTON Compact Tractors, Country Vet Pet Foods, Running Horse Elite Equine Nutrition and our company Insight Advertising, Marketing and Communications. Let's get into it. We then had an interesting story about how the Republicans are losing their hold on Rural America...all for a host of reasons. Rural America accounts for 26% of the population base but we're not big givers to campaigns. Interesting story we hope you'll read more about. There is a new ON-LINE Newspaper out there....it's called The Daily Yonder and their tag-line is: "Keeping Things Rural". Even though it is from that "other country" known as TEXAS it's still worth a read. And, they seem to do a pretty good job at reporting items from across the country. The Farm Bill...OK, OK...this is NOT a Farm Show...but if you eat...you might be interested on this story of how animal rights groups are pushing to be heard and included in the 2007 Farm Bill. Microsoft and the Humane Society? Yep, the software giant is giving cash to what some in animal production circles call an "extremest animal rights organization. Our friends from the Brownfield Network raised this story last week. And, our special guest this morning was Deb Hoyt from Healing Hearts with Horses and the Horse Heaven Rescue. She recently had a great article about her in the Des Moines Register and we thought we'd follow up and learn more about her mission and what drives her to heal and help. Our thanks to Deb for getting out of bed so early to talk with us....her second job keeps her going until after 1:00AM! FOTON Compact Tractors: Got hay? Get a FOTON. They come in 25 - 82hp models that are perfect for the acreage or small farm. And, they cost thousands less than other brands. Why pay more...when you can have a FOTON? Mayer Farm Implement 15 minutes south of Des Moines at I-35 and Hwy. 92 in Bevington, Iowa. Country Vet Pet Foods: Quality dog and cat food made right here in the Midwest. Country Vet - Loved by Pets...Trusted by Owners. For your local dealer, all you need to do is visit their website and then go by some already! Running Horse Elite Equine Feeds: For all horse activity levels it's Running Horse. You can see if you've got a dealer in your area by going to their website. Great feed with lots and lots of benefits! Go ahead, take a look. Running Horse - For the Long Run. And our company: Insight Advertising, Marketing and Communications. We're a full service advertising agency. You make the product or service...and we help you make it great! You've got to market and advertise...and maybe we can help. Michael P. Libbie - Acreage Owner and Host.